PLEXSYS Interface Products’ Battle Access Training System (BATS) will be the primary training device for the Air National Guard (ANG) and serve as a sector level training center for full and part-time Battle Control Center (BCC) Operators. The Western Air Defense Sector (WADS) will receive their BATS install of 28 workstations in Spring 2018. Followed by the Eastern Air Defense Sector (EADS) install in Summer 2018. 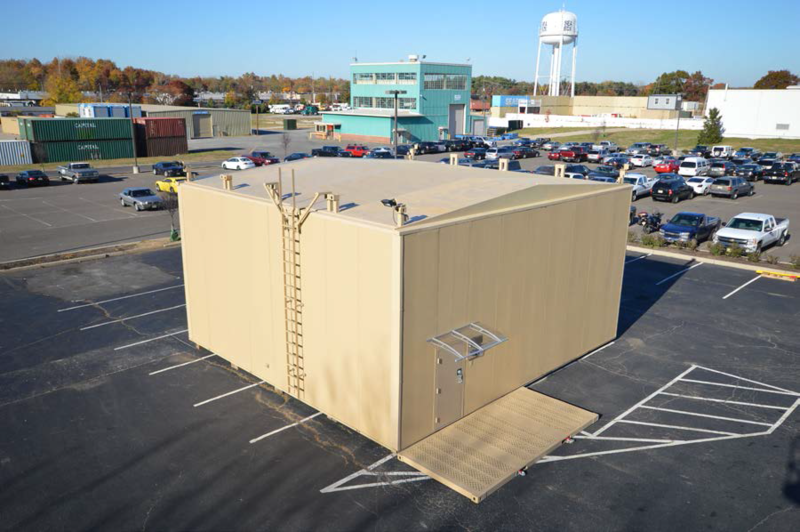 Each simulation cell is housed in an ANG Relocatable Simulation Shelter (RSS) and will consist of Operator Work Stations and White Cell instructor consoles equipped with Advanced Simulation Combat Operations Trainer (ASCOT) environment generators. BATS will be a venue for training, mission rehearsal, and the establishment of tactics, techniques, and procedures (TTP’s), as well as, intra-organizational coordination among the Air Defense community. ImmersaView’s Video, Audio, and Data for After-Action Review (VADAAR) LVC will be the main debrief solution for BATS, consisting of large debriefing monitors strategically housed along the primary walls of the simulation cell. ASCOT is a real-time interactive simulation tool that easily manages the entire battlespace from single ship Close Air Support (CAS) missions to multi-axis, multi-ship Large Force Exercises, and Special Operations. Multiple systems can be networked together at a single site, or at multiple sites around the world for dynamic large-scale joint and coalition exercises. VADAAR LVC provides a local and distributed, multi-participant after action review capability, all accomplished within a light and upgradeable software framework that uses your existing computer network, eliminating the need for additional hardware. It allows the operator to record, review, and stream video, audio, and data locally or anywhere in the world from any device. Founded in 1986, PLEXSYS is a modeling and simulation software company with 30+ years of delivering LVC training readiness solutions and innovation. We are a 100% employee-owned small business, with more than 150 full-time employees plus part-time consultants in nine states and four foreign countries. ImmersaView is a PLEXSYS company and was established in 2006. ImmersaView has evolved to become a global leader in visualization software. Whether in software or strategy, ImmersaView has the industry insight, passion and expertise to deliver technology solutions that streamline the way you manage your visual, audio and data assets.